November 14, 1994. That’s when we got the voter registration letter. From my dad. We being myself and my three younger siblings. They were midterm elections – two years into Bill Clinton’s first term. Our family had moved from Michigan to Tennessee in July so my husband could go to graduate school. We hadn’t taken the time to learn the players in Tennessee. And somehow the registration date had just slipped by us. The letter was printed from a ditto master. Some of my readers will have no idea what that means. 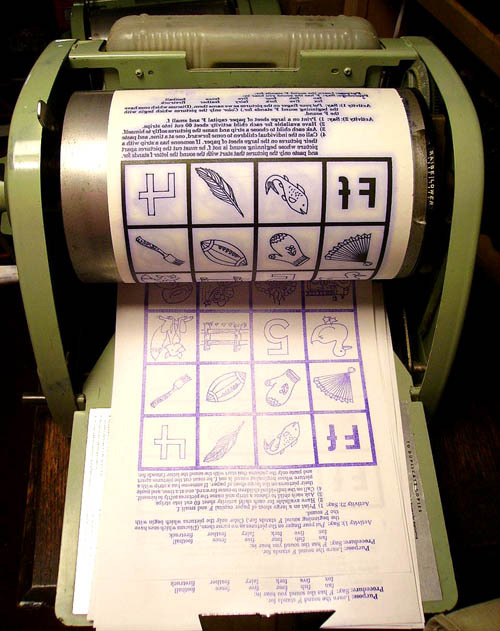 Ditto was used in schools and churches before there were copy machines. The masters were usually a purplish blue, and printed using wax and a duplicating fluid that was half rubbing alcohol and half methanol. A freshly printed ditto was an experience for a sixth grader to inhale. Image found on an engineering discussion board; no attribution. My father had a ditto machine at home because he had retired from his job as an elementary school principal in 1983 at the age of 55 – he took an early retirement package – and when he left he took some outdated equipment with him. And some furniture. And a few paintings. I guess his retirement package needed some rounding out. It wasn’t the first time we kids had gotten a letter from my dad on a ditto. There was the one we received in 1986, three years after that early retirement, congratulating us all for not being in Prison or in Rehab or the Psych Ward or Divorced like some of the other kids in the neighborhood. My father raised us not to make mistakes. It was a heavy burden. And when we made mistakes, he let us know. I don’t know where that earlier letter is. But the letter I received in 1994, I still have. None of our four children are registered to vote. Only one of their three spouses are registered to vote. Bless you Mary Jo for being the only one of seven who voted in the recent election. Educational Degrees of this illustrious Seven: Seven Bachelors, Three Masters, One CPA, One Doctorate and One Near Doctorate. Can it be the responsibility of children, moving or working? Dorisanne and Harold have always been registered and have voted in every election since they were 21. During this time they have moved four times and lived in three different states. Also they had four children to raise while both worked most of their married lives. 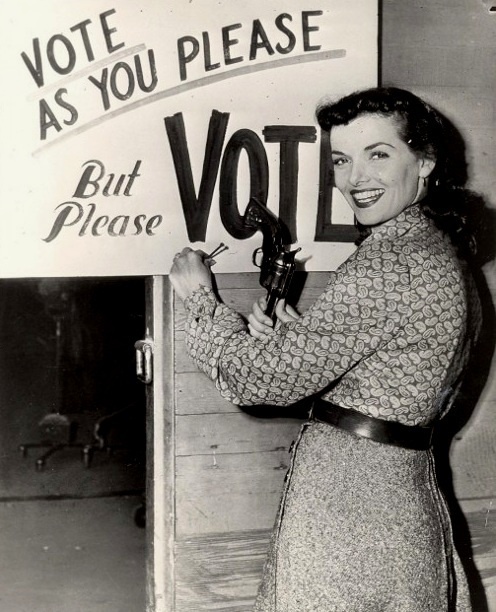 Mother and I are telling you to vote – not how to vote. Get yourselves registered so that you can vote and participate in our great democratic process of determining our own destiny. P.S. – There will be follow-up and I welcome comments. Defending Truth, Justice and the American Way using the best tool at his disposal – Shame. My mother was always added on to these proclamations. She may have agreed, but you can be sure they were not her idea. Of course voting is important. But the irony of being ordered to determine my own destiny was not lost on me. My father used to be conservative. You know that old saw about liberals and conservatives – the one they attribute to Winston Churchill? 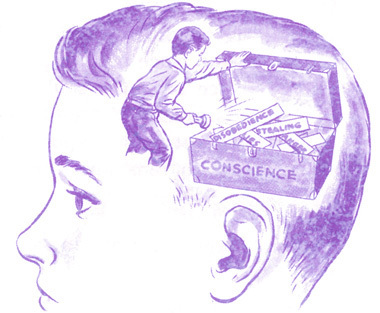 If you’re young and not liberal, you have no heart; if you’re old and not conservative, you have no brain. For my father it’s been the opposite. During the Vietnam War he got school-sized flagpoles for everyone on our block – we lived on the edge of a golf course – and the whole neighborhood raised and lowered their flags together, My Country Right or Wrong. We got a write-up in the paper. But in the last decade he’s done a 360. 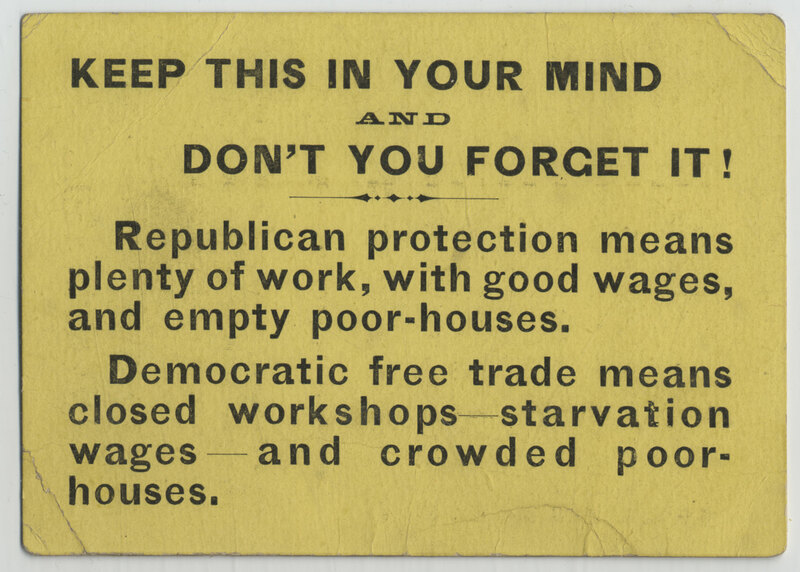 A Republican Party handbill, circa 1880. My dad’s not the one one who’s gone 360. He used to be a rabid Republican, and now he’s an equally dogmatic Democrat. I think it was the Second Gulf War that did it; that seems to be when he decided that Republicans were not about small government, but about big industry. My cousin served in that war. My dad is older now. His veins throb. His eyes are bad. He falls asleep when he doesn’t want to, and can’t when he does. The layers of his bullying have peeled away like an onion, revealing his anxiety, and underneath, what I’ve always known to be there, a deep, fierce, abiding love. 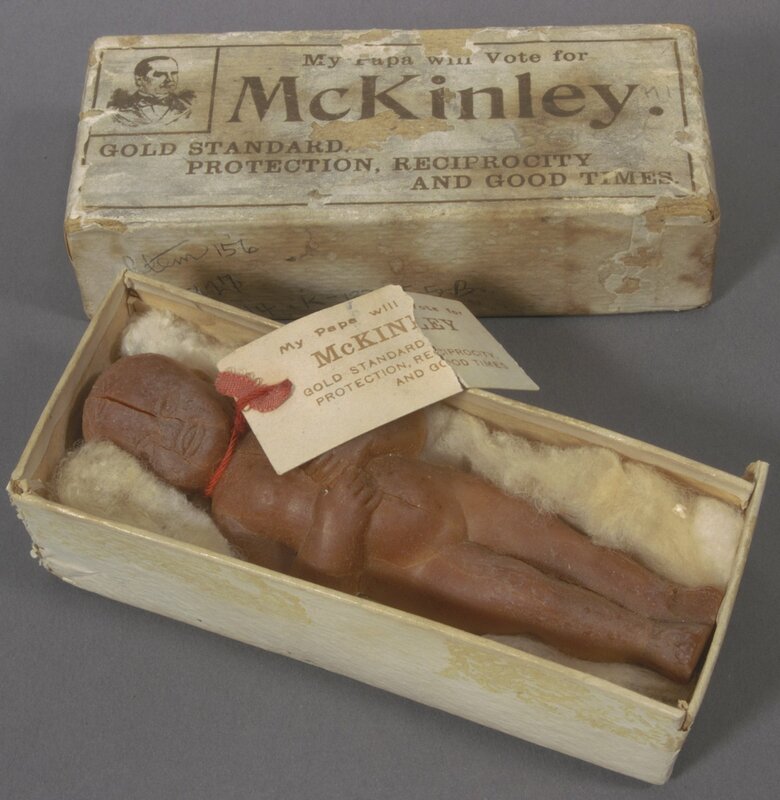 I intend to vote even if no candidate gives my Papa a creepy soap baby…or supports the Gold Standard. Courtesy Flickr Commons. So it’s the midterm elections. Again. I’m registered to vote. And I’m informed: on both sides of the ballot, through the school board and all the way down to the district court judges. If you’re a U.S. citizen looking for a quick guide to what candidates hold positions similar to your own, look for your state on isidewith.com. You can also look up basic information through the Voting Information Project tool below. « A Barrel of Fun. Or Not. Oh do I remember those spirit ditto machines. The children sure did like to sniff them – particularly when I overprimed the machine! I believe we were still using them when I taught freshman composition. At any rate, I remember having stains on my clothes (the fluid wasn’t obvious until it dried), blue thumbs, and occasionally, if I had an itchy nose, a lot of giggling students…. That’s right! It’s so funny looking back. Transferring the blue thumbs to a blue cheek wasn’t a good look. 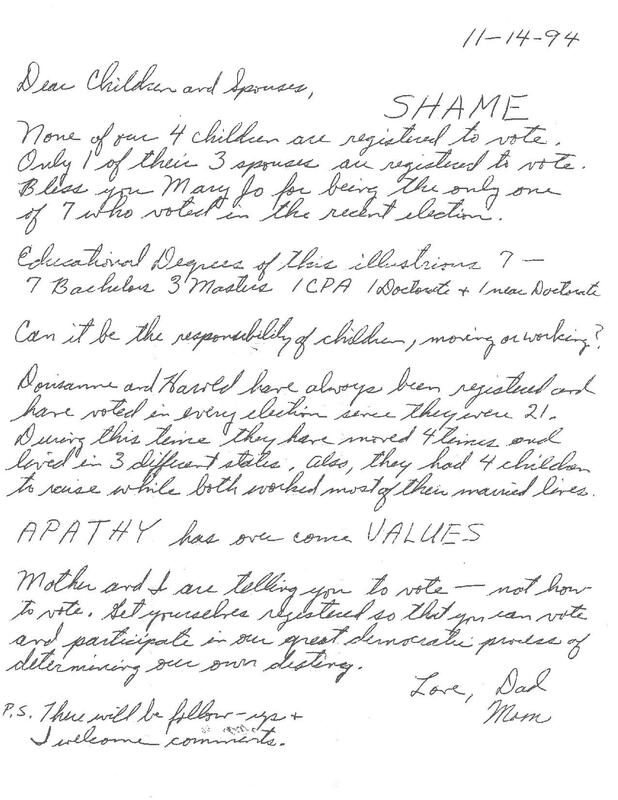 I remember over-priming the machine so that the paper was drenched and absolutely dripping with fluid – impossible to read! I think we were more accepting of errors those days though. We wouldn’t redo a whole sheet for a tiny error, we would just correct it. Nowadays we fuss and position, write, rewrite and edit for hours on end making sure the sheet is ‘perfect’. There always seems to be one thing that the spelling or grammar checker thinks its knows better about though! Thanks for sharing this interesting story about your father. I also remember those machines though didn’t know they had a name. I imagine my father would have loved one but more recently sent form letters via a poor quality computer printer. I’ve also been shamed into voting, albeit in a much gentler way – by my husband who reminded me of the suffragette movement when once I felt I couldn’t be bothered to vote in the local council elections. That aside, I don’t think I’ve ever missed and now we have a postal vote there’s really no excuse! I think the machine may be still down in the basement, but I don’t know that he has masters left… I can think of one other time when I didn’t vote, and that was very recently, in our mayoral elections, where they introduced ranked choice voting for the first time and we had 35 candidates. I am, sadly, prone to overwhelm, and had not made time to do any research. Interestingly, the research I did on this post led me to a lot of information about the suffragist movement here, and that truly did make me ashamed. No pardon needed, Anjali; you won my heart by appreciating the irony. It was fascinating to learn about the ditto machines. I’ve always voted (until I moved abroad) as my mum instilled into me that I had to because women had fought for it. What a wonderful father you had! My father also started out as a conservative Republican whose views changed dramatically during the Bush years. Great post! He’s still alive and kickin’, Jan. You should hear him argue with his youngest brother, who’s about as conservative as they come. Interestingly, it’s his daughter who served in Iraq. Now we know where we get the word, ditto! :-) I still remember purple worksheets from schooldays. Voting…I have so many mixed feelings. And good heavens–your Dad knew how to lay it on thick! Yup, he’s not a subtle one, my dad. Interesting that posting this has allowed the feelings of love and appreciation to float much higher than the residual resentment for the shaming. I believe I published my first play, in the fifth grade – Peter Parker and the First Thanksgiving – via ditto. I wish I still had a copy. I would love to know what that weird little mind was thinking when she set Spiderman among the Pilgrims and Indians. LOVE this story and your TRUTH! Thanks for sharing! I served the City of Richfield, MN, USA as City Clerk/Chief Election Official between 1978-1985 so administered many local and national contests. Recruited and trained 400 Election Judges and more! 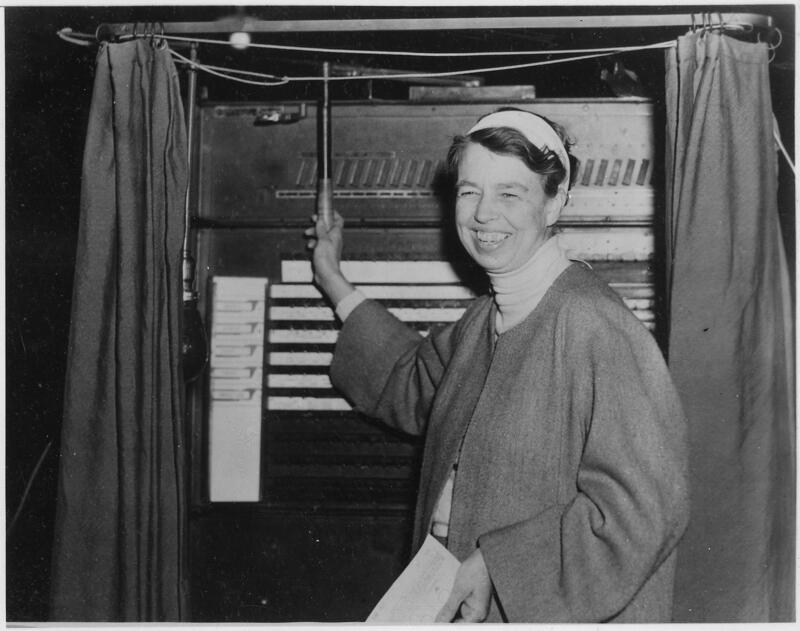 As a woman I would never DREAM of not casting a ballot. I KNOW my HER/history and many of our fore-sisters/mothers shed blood,sweat & tears to win us that franchise. I turn 62 in a few weeks so remember ditto machines as well! Keep writing! Thanks, Sylvia. I have a friend, Erica Christ, who co-owns the Black Forest German restaurant on Nicollet in Minneapolis. She’s also a fellow storyteller, and runs a monthly storytelling venue there called Cheap Theater. She did a tremendous piece last year about the need to be informed and vote about the “small” things, the local politics. After that I felt very guilty about skipping the Minneapolis mayoral elections because I didn’t feel informed enough to vote. I guess I’m the sort of person who needs an occasional shaming to do the right thing. Love this. Yes, I’m registered to vote and will vote. My dad died when I was 14 and never had a chance to send such a letter. My dad was a Roosevelt Democrat. I feel a little partial to your dad. Elaine: It’s never easy to lose a parent, but from those I know who have, the teen years seem particularly hard. Those Roosevelt Democrats were good people. Feel free to be as partial to my dad as you like – I’ve had several friends on Twitter declare their undying love for him. Since he does not know what Twitter is, I think my mom is safe. A delightful post. Your father is really something… brave, actually. He has a good point. I know I’ve voted from around the world by absentee ballot, because I always believed I didn’t have the right to complain if I didn’t vote. And I adore the Churchill quote. It might help explain a few things in my own life! Thank you ma’am. My father is definitely something. ;-) I am glad for every interaction we have these days. Even the frustrating ones. Of course if everyone looked at it your way, we’d have much higher voting rates. I mean, lose the right to complain? That’s serious!!! Well, he sure speaks his mind! I was feeling guilty reading the letter and it has nothing to do with me! I have a lot of sympathy though. I feel the burden of history behind me and women have died so I can vote. I’ve never missed a chance yet, despite the shabby crew I sometimes have to choose between. I recall the switch from Republican to Democrat being primarily because of the Al Gore “chad miss-count issue” just had him furious. I thought the seven of us were more of a possible target to upset and get change from than the government! Win one for Harold. Lisa, Imagine growing up with a dad every day with the if you were my age you’d understand! Sorry Dad, I’ll never be your age and I’m still not.